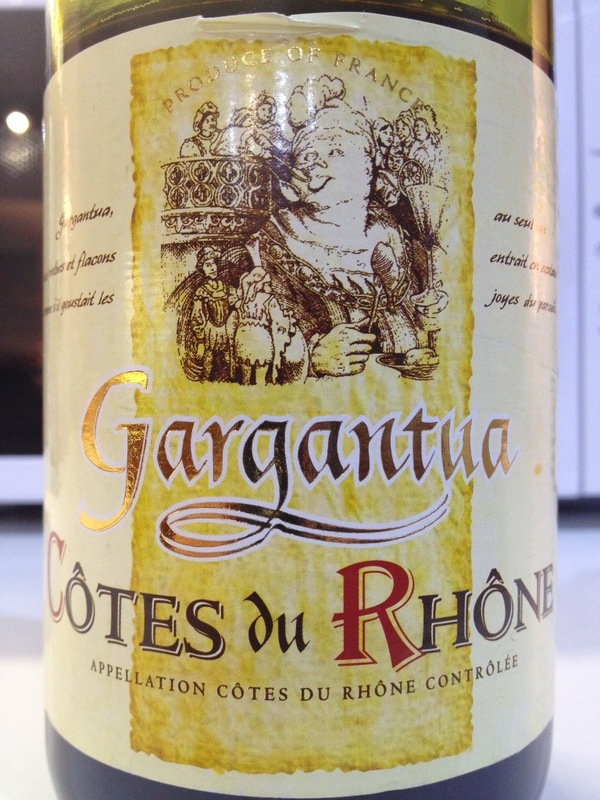 Not quite as meaty as you’d expect from a Cotes du Rhone but not bad. 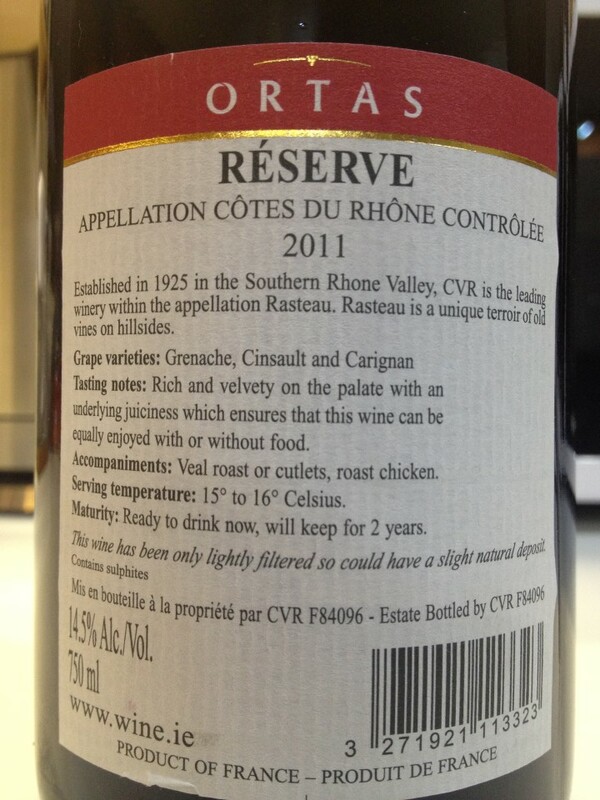 A Grenache / Syrah blend? Rich, dry, velvet in the mouth. Gargantua. Quite. I risked this in Dunnes, the hungry cherub Giant is a nice touch but they say never to judge a book by its cover which in this case I should have. Not all bad but quite a raw blunt delivery of alcohol, I felt. 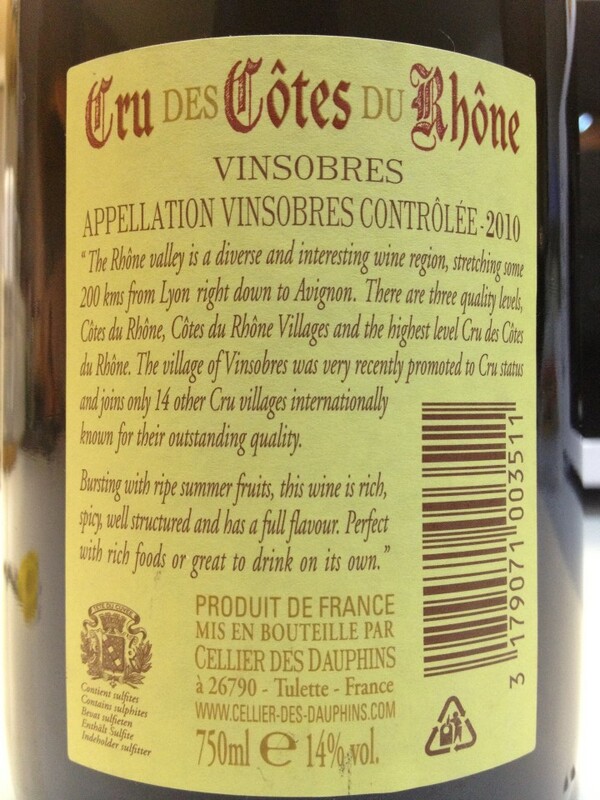 L’Union des Vignerons des Cotes du Rhone is a brand of Cellier des Dauphins, a co-op of 13 producers. Maybe they didn’t want to put their name to this rough and ready product. 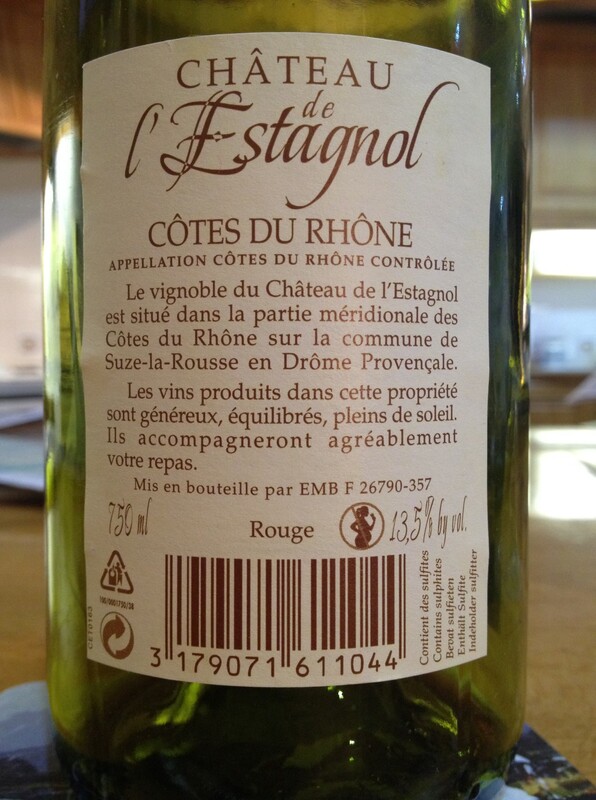 Disappointing because I quite liked their Cru des Cotes du Rhone offering. Vinsobres is located in the heart of the Drôme Provençale, technically in Provence. 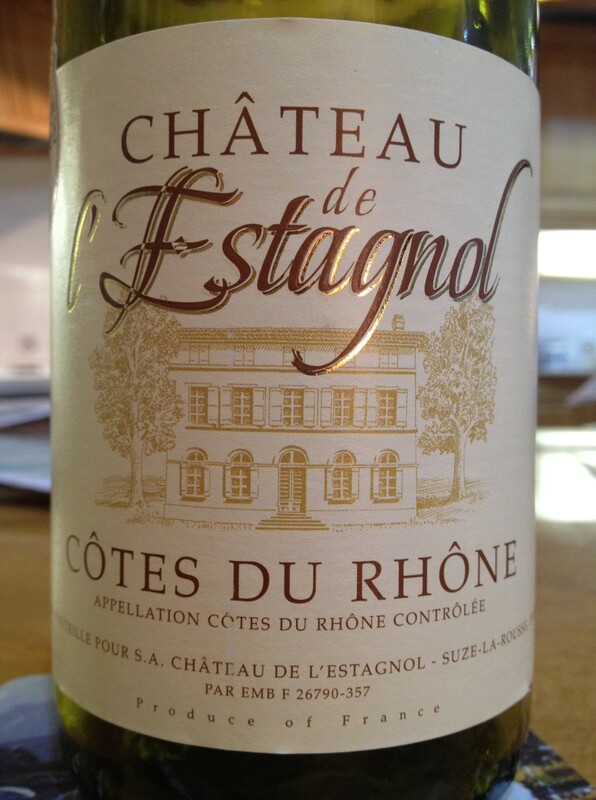 In 1967 the village was elevated to Côtes du Rhône and in 2005 achieved Cru status. 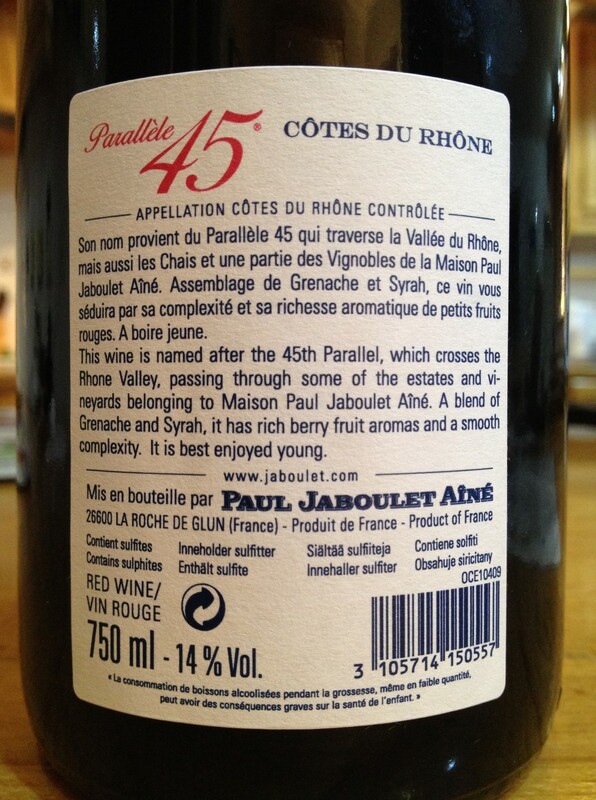 A blend of Grenache and Syrah by Thiery Walet, aged in oak with lots of fruit. Quite dry. 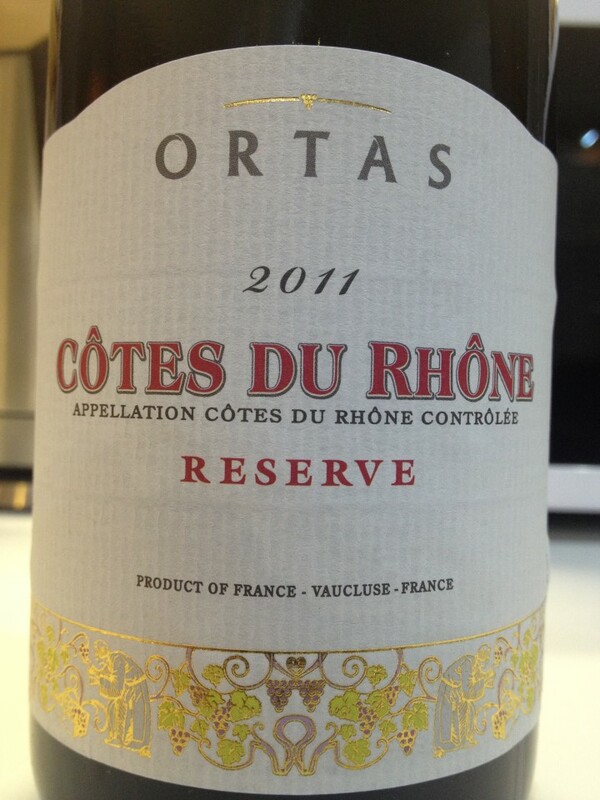 Dunnes are running offers on a range of Côtes du Rhônes and this stood out @ €10.50. 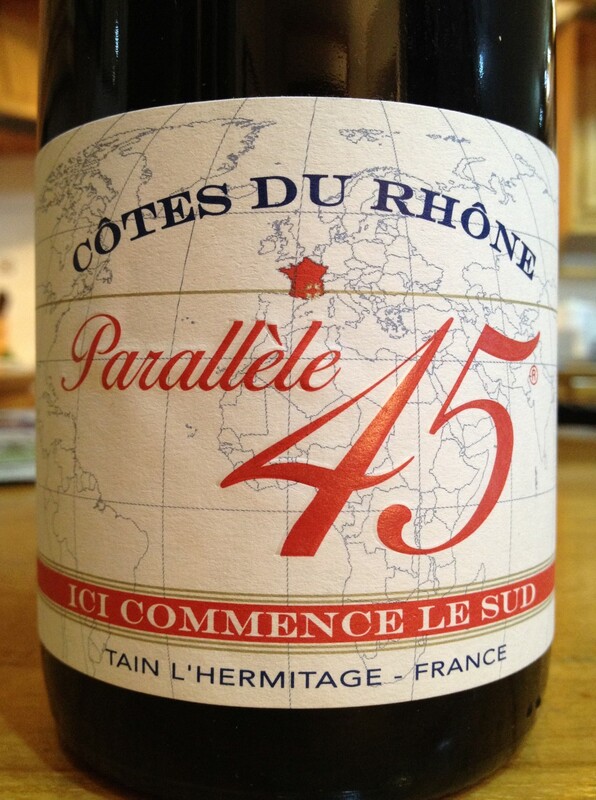 Cellier des Dauphins is a local co-op and claim to be the most well known Rhône brand with over 15% market share of Rhône wines shipped. 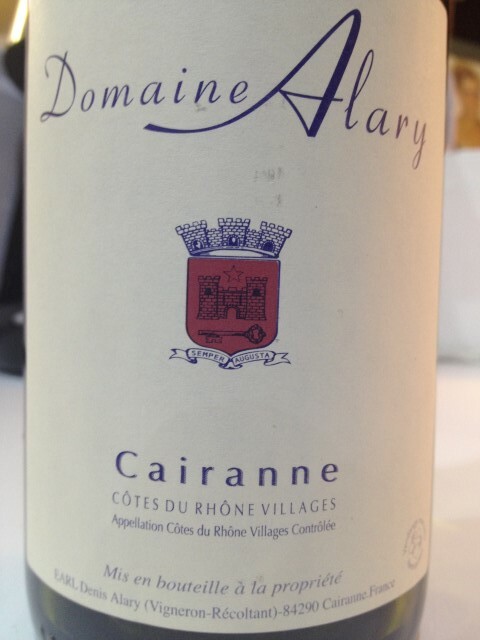 This is a big earthy wine from the village of Cairanne and the house of Denis Alary, whom Parker labels a Star of the area. 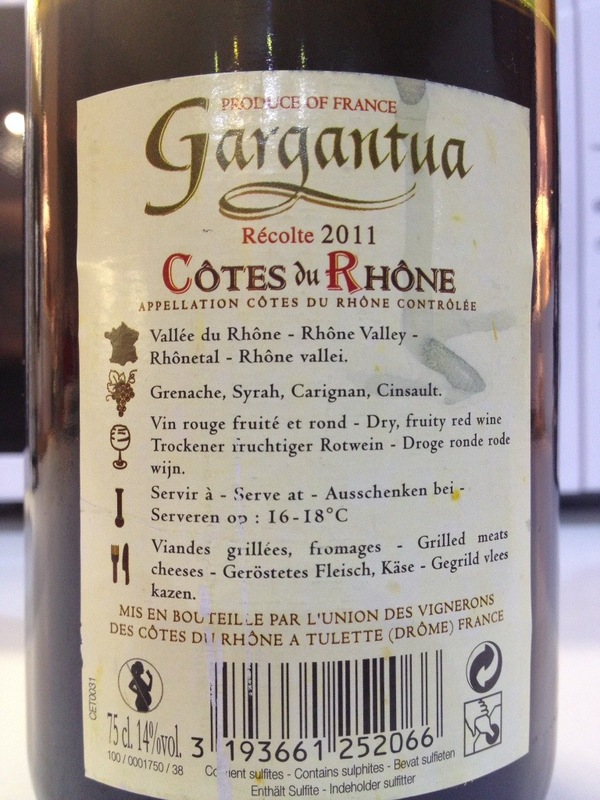 A blend of Grenache, Syrah & Carignan, it was every bit as good as a more ‘upmarket’ Hermitage. Massive fruit, thick dark purple colour, smooth taste. We served this to the Collets at Dinner, and Sean and I both enjoyed it.